One Million Option is an extremely popular contest in the range of InstaForex. Every step gathers numerous participants who contest the title of the best options trader. Following the results of the regular stage of the contest, the best result was shown by Oleg Nedin, a trader fom Ukraine. 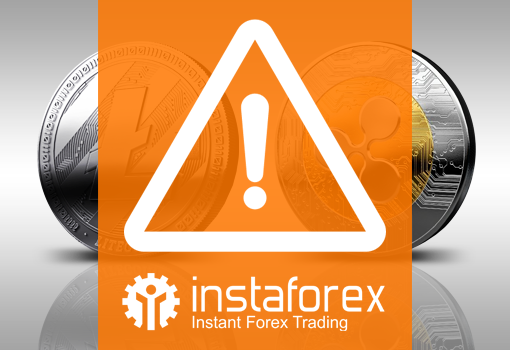 Let us recall that the next stage of the One Million Option from InstaForex contest will be held very soon – from February 5, 2018 to February 9, 2018. The fastest and most accurate traders compete in the InstaForex Sniper contest. According to the results of the last stage of InstaForex Sniper, Alexander Grigoriev turned out to be the best. Remember that the next stage of the InstaForex Sniper contest will be held from February 5, 2018 to February 9, 2018. The best covering the distance of the regular stage of FX-1 Rally was shown by Aexey Chmykhalo who was able to demonstrate his trading and racing qualities. We congartulate the winner on the excellent performing and wish him to confirm his reputation of the best pilot in the next stages of the FX-1 Rally contest. If you need close-fought battle and you are ready to take part in a breathtaking race to the top, then welcome to the start of a regular stage of FX-1 Rally! You can register and participate in the next race that will be held from 00:00 February 2, 2018 to 23:59 February 2, 2018. Short-term trading is a rather complex and painstaking trading type which requires focused attention. Far from everyone has enough attention, concentration, and speed of decision-making for success within this type of trade. But these are the qualities, which are required to achieve high results in scalping. This time, Aloise Boamin, a trader from Côte d’Ivoire, managed to demonstrate the above-mentioned skills and to take the first place in the regular stage of the Real Scalping contest. InstaForex congratulates the winner and invites all those, who have been bypassed by the luck this time, to take part in the next stage of the contest. Anyone wishing to test their strength in the contest can register in the next stage, which will be held from February 5, 2018 to February 23, 2018. 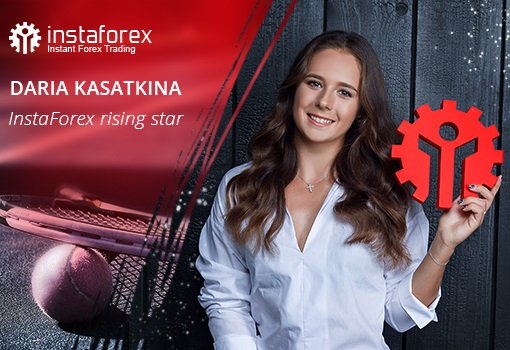 Two weeks of perfect trading and you will ensure a victory in the next stage of the Lucky Trader contest, as trader from Latvia Oleg Vannahs did, who demonstrated an excellent trading form and achieved the best results among several hundred contestants. We sincerely congratulate the new winner on the great result and we wish him to continue the victorious tradition in other stages of Lucky Trader. Let us recall that the next stage of the Lucky Trader contest will be held from February 5, 2018 to February 16, 2018. All five winners arrived at the capital city of Russia to manifest their beauty and celebrate their triumph. 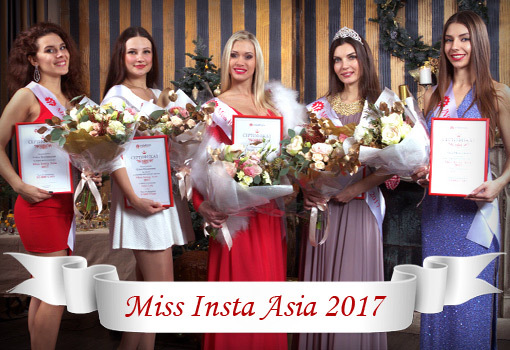 Yulia Grebennik was declared the beauty queen of Miss Insta Asia 2017 and was presented with a great prize – $20,000 on her trading account. Interestingly, none of the winners has had trading experience on Forex. However, the girls expressed the intention to learn trading with InstaForex. Indeed, the girls have been already provided with the solid start-up capital. Let’s wish them good luck! Perhaps, after a while these girls will be memorable not only as the most beautiful participants of Miss Insta Asia 2017, but they will be well-known as successful traders. Here is an announcement for all those who are eager to enter their names in the history of the popular online pageant and for admirers of female beauty from around the world. Let us remind you that registration for the next season of site of the contest. Any contract with a sports team should reflect the philosophy and principles of the company. And it was hard to find a squad more suitable for our purposes than the Dragon Racing Formula E team. It is known that several countries, from Norway to China, plan to completely ban autos with internal combustion engines. It means that new technologies and progress will be oriented towards Formula E. InstaForex considers the ecological aspect to be very important and when we talk about Formula E, we stress the importance of both technological novelties (such as electric engines) and their influence on the environment. It is the ecological aspect that allows Formula E to take place in the center of the world’s largest cities unlike Formula 1 that is held in suburban areas. Formula E strives to be close to its fans just like InstaForex tries to be close to its clients. 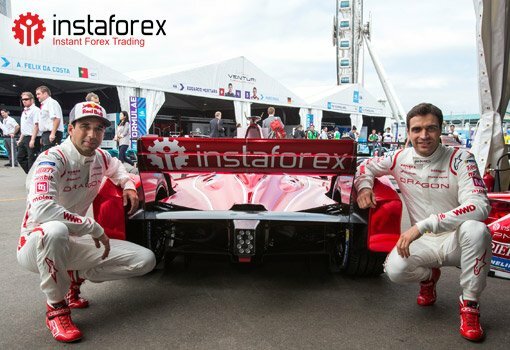 InstaForex is sure that Dragon Racing with its energetic leader (young media entrepreneur Jay Penske) and talented drivers (Jerome d’Ambrosio and Neel Jani) will remain the engine of Formula E development and believes that the team will show excellent performance in the new season.